The Fourth Amendment to the Constitution protects the “right of the people to be secure in their persons, houses, papers, and effects, against unreasonable searches and seizures”, but this protection does not always extend to the contents of a garbage can left outside a home in Utah. When someone throws away an item in a public trash can or dumpster, that individual knows their discarded garbage is no longer their property and that item may be accessible to anybody who happens upon it. When something is thrown away at home, most residents feel confident knowing the privacy they have for their home and property is extended to the contents of their trash as well. 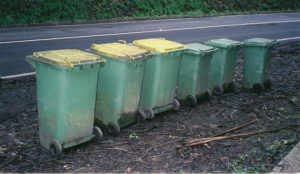 Once trashes have been emptied into the outside bin to be collected by city workers, the majority of Utah residents would still feel their privacy were violated if anyone were to go through their garbage prior to it being collected. There are many reasons why individuals would go through the contents of someone else’s garbage can. Some of these reasons are criminal in nature while others are for survival. Those rummaging through the garbage out of necessity may possibly be searching for discarded food of decent quality or scrap metal to exchange for cash. Others collecting trash for criminal purposes may be collecting personal information to aid in identity theft. Whatever the reason, a Utah resident’s trash can is typically considered private and going through another’s trash is frowned upon by law enforcement. Some cities including Orem, Provo, and Taylorsville have cracked down on the trash collecting practice in the past by issuing citations for those caught “stealing” another person’s garbage. This expectation of privacy is often supported by law enforcement, unless they are the ones going through the trash. Although law enforcement expects everyday residents to respect each other’s privacy in regards to their trash cans, officers themselves are not expected to abide by the same standard. In State v. Jackson (1997) a Provo police officer went to the home of defendants, one of which had a prior history of drug charges. Once at the home, the officer saw two garbage cans that had been put out for collection by the defendants. The officer then proceeded to go through the garbage cans, finding small amounts of marijuana as well as drug paraphernalia. After taking these items out of the trash as evidence, the officer was then granted a search warrant for the interior of the home and found other drug-related items. 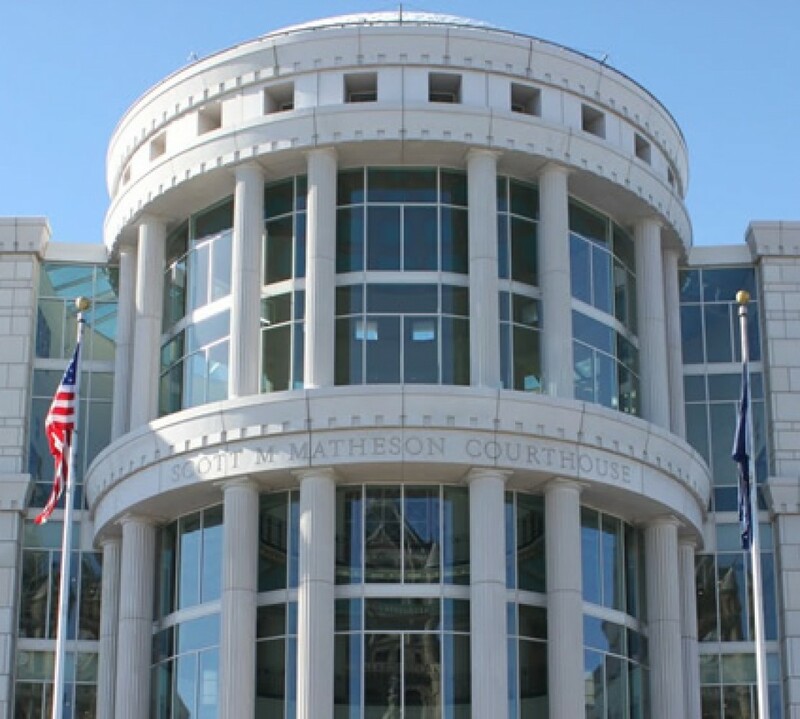 All three defendants whose garbage was “lawfully” searched were convicted of possession and sentenced to three years of probation and a large fine. As frustrating as it is that the same trash protected from pubic searches isn’t awarded the same expectation of privacy from police searches, residents might consider the move excusable seeing how the garbage cans were left out by the road. Unfortunately, not all officers wait for the trash to be moved off the property by a suspect. In 2015, Sioux Falls, SD police Officers worked together with the garbage company to collect trash from a possible drug suspect named James Thompson. The garbage collector entered onto Thompson’s property, took the garbage can from the side of the garage and emptied it into the garbage truck while officers watched. Officers then searched through the dumped garbage and found drug paraphernalia. A warrant was then issued on Thompson’s home where other illegal items were located. Thompson moved to suppress all evidence, especially since the garbage cans were removed from off his private property. 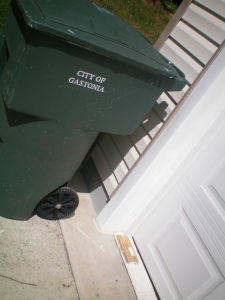 The courts denied his motion stating that “It is well established that there is no reasonable expectation of privacy in trash left for collection in an area accessible to the public.” Had his garbage cans been placed inside a garage or behind a fence, he may have been awarded more privacy over his trash. 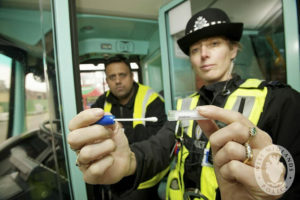 When it comes to police searches, many residents understand they have rights against unreasonable searches taking place inside their homes or vehicles. When the search occurs outside or within the curtilage of the home, the legality of the searches may be even more difficult to understand. For more information on charges stemming from these and other questionable searches and seizures, contact an attorney to discuss whether or not rights have been violated and all possible options moving forward with the case. Is the Exterior of a Vehicle Protected from Searches by Reasonable Expectation of Privacy? A growing number of Utah residents are now realizing they have rights regarding unreasonable searches of their vehicle, but does the exterior of a vehicle have the same reasonable expectation of privacy? An officer does not have permission to search the interior of a person’s vehicle unless they have permission, a warrant, or probable cause to do so. If the driver does not make the common mistake of trying to be overly agreeable by allowing an officer to perform an unreasonable search on a car, then the officer has to have a probable cause to search the car. Probable cause can include drugs in plain view or if the driver was going to be arrested anyway for a DUI, warrant, or other crime. If there is no probable cause for a search, it is okay to politely decline an unreasonable search. Law enforcement are permitted to do a visible search of the exterior of a vehicle and this type of search should be expected during a traffic stops. If something illegal on the exterior of a vehicle is visible to the police officer, there is no reasonable expectation of privacy. Some exterior searches can go too far however. If an officer brings out a forensic kit, then the search could be headed towards a Fourth Amendment rights violation against a person’s belongings or property. An owner of a vehicle has possession of the entire car, not just the interior. Fingerprints, DNA, or other possible microscopic evidence on the vehicle that is not visible to the naked eye should be protected. If a driver leaves their car temporarily unattended in a public place, this does not give law enforcement permission to then swoop in to perform forensic searches of the car. Even when not occupied, the vehicle is still considered to be in their possession of the owner. Otherwise, they would not be liable for anything related to the car in their absence, such as parking tickets. If a search has been made of the interior or exterior of a vehicle and the proper channels were not followed to conduct those searches, anything found could be thrown out in court. It is important to discuss whether or not there is an option to dismiss evidence from unreasonable search and seizures. A qualified criminal defense attorney can help defendants fully understand their rights regarding searches and seizures and whether or not they had a reasonable expectation of privacy during a police search.